In the eight years since I left working in journalism to teach journalism, new technologies, devices and audience habits have fueled a lot of change. 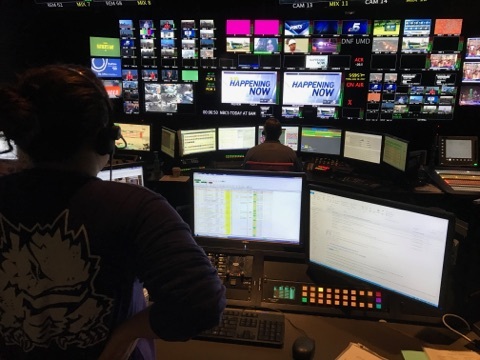 This summer, I used a NATPE Faculty Development Grant to spend two weeks at a television news operation, my longest stint in a newsroom since joining academe. The newsroom is still so focused on the traditional broadcasts that, while digital is included in meetings and seen as important, it is often secondary to the newscasts. The station I visited, KXAS-TV, the NBC owned and operated station in Dallas-Fort Worth known as NBC 5, was the first station in Texas when it launched in 1948. It is also a station in transition. Mark Ginther, the vice president of news, came to the station less than two years ago with a vision to move away from daily crime news toward more enterprise coverage. Before starting my time at NBC 5, a former colleague quipped that, although there have been some technology changes, most things remained the same (for starters, I was amazed the iNEWS, the popular newsroom computer system, had hardly changed). Some other newsroom traditions remained: eccentric characters, gallows humor, and an appetite for free food. I did find some changes and some constants and, when classes resume in the fall, I will have several things to share that will enhance my teaching. One of the first things that struck me is how much the newsroom is still so focused on the traditional broadcasts. While digital is included in meetings and seen as important, it is often secondary to the newscasts. But the more time I spent observing, the more I realized the conundrum. One way to think about this is that newspapers making efforts to be digital first means, for the most part, focusing on digital and using that content to produce one paper for the next day. 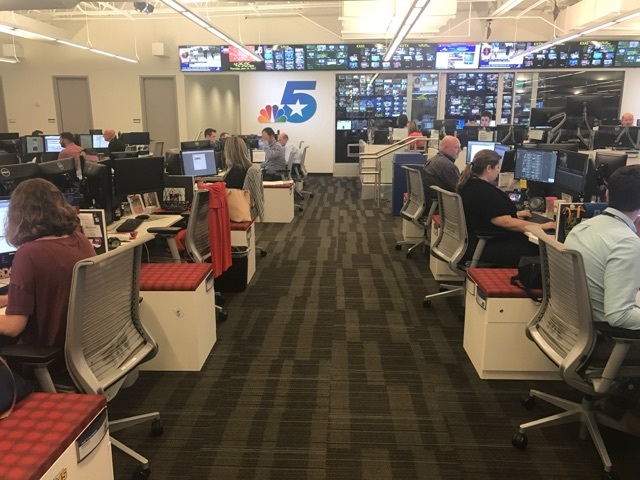 However, at NBC 5, like most TV newsrooms, there are hours of broadcasts to fill from 4:30 in the morning until 10:35 at night, a total of 6 hours a day at NBC 5. That means you have many hard broadcast deadlines and you need lots of local content to fill 4:30 to 7 a.m., 11 a.m. to noon, 4 to 5 p.m., 5 to 5:30 p.m., 6 to 6:30 p.m. and 10 to 10:35 p.m.
Kris Gutierrez and Bianca Castro anchor a 5 p.m. newscast. Photo by Aaron Chimbel. While digital demands have increased, TV newsrooms are producing more hours of broadcasts each day, an average of 5.3 hours a day in 2014 compared to 3.6 hours per day a decade earlier, according to Pew Research Center. At the same time, the digital staff has been expanded to eight staffers and includes a recent addition of a digital video producer who works to create shareable videos for social media and the station’s digital outlets. She produces her videos not as vertical or horizontal videos, but as squares, which she says works well using the most real estate on most devices. About two-thirds of the traffic to the station’s digital properties comes from mobile, so thinking about how stories will play devices is important. Still, the focus is on the traditional broadcasts, which make up the vast majority of TV station advertising revenue. Everyone is expected to do their TV job and contribute to digital. Reporters are required to write text versions of their stories and post them to the content management system before their story airs, in addition to posting to social media about their stories. 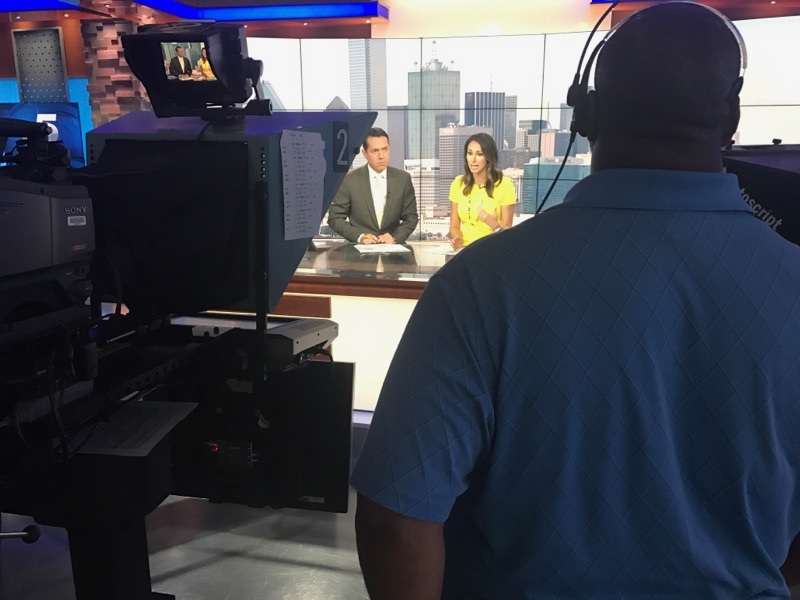 For most people entering local TV news, the most prestigious assignments have been the late night newscasts with mornings seen as a purgatory where the newest folks are sent to pay their dues. However, at NBC 5 early mornings are seen a growth area. News managers have been infusing resources to create what they say may be the largest staff for a local morning newscast. In addition to the requisite morning anchor duo, meteorologist and traffic anchor, the station often has as many as five reporters each day, including a consumer reporter and three live field reporters. The station also shifted staffing after visiting the “Today” show in New York. Now, an assignment editor works from 8 a.m. to 4 p.m. to plan for mornings and a producer, who previously produced the 5:30 a.m. newscast, works from 1 p.m. to 10 p.m. to further prepare for mornings. The station’s morning newscasts are getting strong ratings, and station management sees success in the morning as key to being the market’s top station throughout the day. Embrace mornings and look for creative solutions to utilize resources for maximum impact. The newsroom schedule runs on two things: when the newscasts air and when the news meetings happen. NBC 5 has the typical morning and afternoon news meetings, but one at 7 p.m. surprised me and stood out as a really good idea. Recently, the night news team added a 7 p.m. meeting to go over the progress of the marquee 10 p.m. newscast (the equivalent of the 11 p.m. news on the East and West coasts). This meeting helped to refine the focus of the newscast and allowed the senior producer, producer, director, anchors and others to assess how the stories and rundown were coming along with time to address any concerns. There’s also a quick 9:30 meeting to catch any last minute issues. The equivalent of the 7 p.m. meeting is something I plan to incorporate in my broadcast classes where we discuss stories leading up to the newscast but do not regroup as a class to evaluate when we know more and more stories are finalized, or close to it. The collaborative approach is key and the various points of view lead to positive changes. The advent of bonded cellular systems like Dejero, LiveU and Streambox have largely replace traditional live vans – and at a much lower cost. NBC 5 now has eight Dejero-equipped SUVs and six portable Dejero units that each send a live signal the equivalent of using nine cell phone signals. The station still has seven traditional live microwave trucks and two satellite trucks, but they aren’t used much anymore. Often they’re only used in situations where there may be significant competing cellular traffic, like a major sporting event, and the Dejero would not be as reliable. Producer Patty Zamarripa during a newscast. Photo by Aaron Chimbel. Live shots are now faster, easier, more mobile and more available. Reporters can be live in more places (in moving vehicles, walking with protesters, in a skyscraper) and producers don’t need to juggle the use of live trucks. Several photojournalists have been assigned Dejeros and can be instantly deployed to breaking news, saving valuable time. While I was familiar with the technology, I was surprised at how widespread its adoption was and how rarely the traditional live vans are used anymore.A few years ago, it was common for starter markets to just have one or two live trucks, due to the expense. Now, nearly all reporters can be live multiple times a day. For students who want to be reporters, live presentation skills are more important than ever. Since he arrived at NBC 5 in September 2015, Mark has worked to move the station from crime-focused news to more of the enterprising and NPPA-styled news he was successful with at KING-TV in Seattle. This is a newsroom in transition, with an influx of new employees, employees in new positions, and many other longtime veterans, all adapting to a vision that challenges what many have grown accustomed to. For example, after leading one newscast with breaking news of an officer-involved shooting, Mark led a discussion of if that was more newsworthy than the story that followed about runoff elections in Dallas. It was an insightful discussion and one that was not about saying one choice was right or wrong, but to push the journalists to think about what story has the greater importance, not just which one happened closet to news time. Perhaps the shooting story would have worked better with background about officer-involved shootings in that suburb, suggested some in the morning news meeting the next day. The point: Leading with the shooting isn’t necessarily wrong, but the default shouldn’t be for spot news, either. Crime coverage isn’t banned from newscasts, but should be in proper context and more than just the proverbial body count. The NBC 5 newsroom. Photo by Aaron Chimbel. Still, success was evident while I was there. The station learned it won four national Edward R. Murrow Awards, including for overall excellence, during my visit. The four national Murrows were the most for any local TV station in the country. Perhaps then, it is not surprising that many NBC 5 journalists emphasized to me that, despite many changes in journalism, the basics still matter a great deal. Writing, reporting, people-focused stories, story generation and compelling visual storytelling are all as important as ever. For a news organization to have value to its community, it must go beyond the easy stories. Value comes in providing high-quality content that people cannot get anywhere else. Also, transitioning a newsroom is methodical, not instant. Aaron Chimbel is an associate professor of professional practice in journalism at TCU’s Bob Schieffer College of Communication. Before returning to TCU in 2009, Chimbel worked at WFAA-TV in Dallas, where he won five Emmy Awards and a national Edward R. Murrow Award. Follow him on Twitter at @aaronchimbel.